Fascinating look at the design of a science infographic (on life in dust) – microBEnet: the microbiology of the Built Environment network. Designers Martin Krzywinski and Barbara Jeannie Hunnicutt provide a peek behind the scenes, and explain how they developed a data visualization based on bacterial genome information derived from dust. 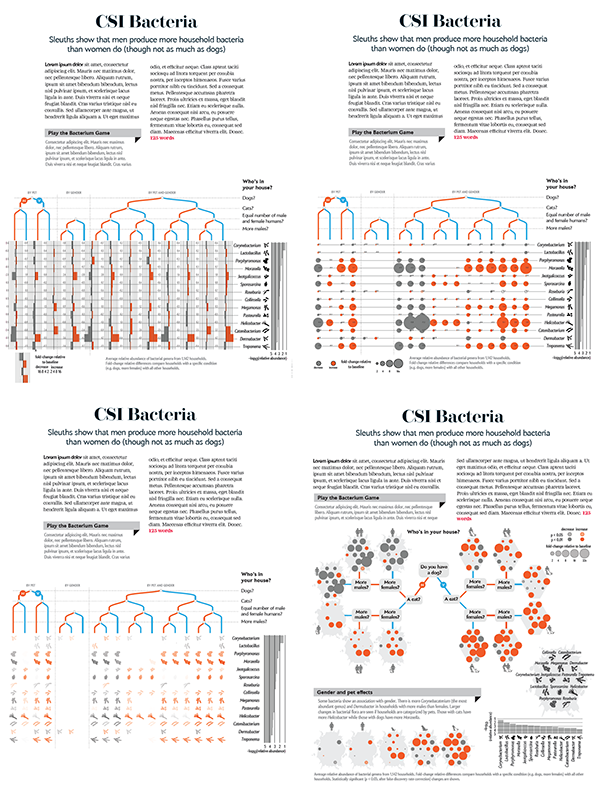 This is an absolutely fascinating look behind the scenes at the production of an infographic for a Scientific American article on “the Secret Life in Household Dust”. The article was based largely on a paper from BarberÃ¡n et al on “The ecology of microscopic life in house dust“. This blog post by the designers (Martin Krzywinski and Barbara Jeannie Hunnicutt) who made the infographic takes us through the thought and work in the history of the development of the final infographic. It is definitely worth a read for anyone interested in scientific communication or in the intersection of science and art and design. The first U.S. study to test chemicals in household dust found a toxic cocktail in our homes, made of hazardous chemicals emitted from commonly used products.